Wood contains tannic acid which, after a time, can leak out and discolour the sub-floor. Never lay wooden decking on a surface where it would matter if this happened. 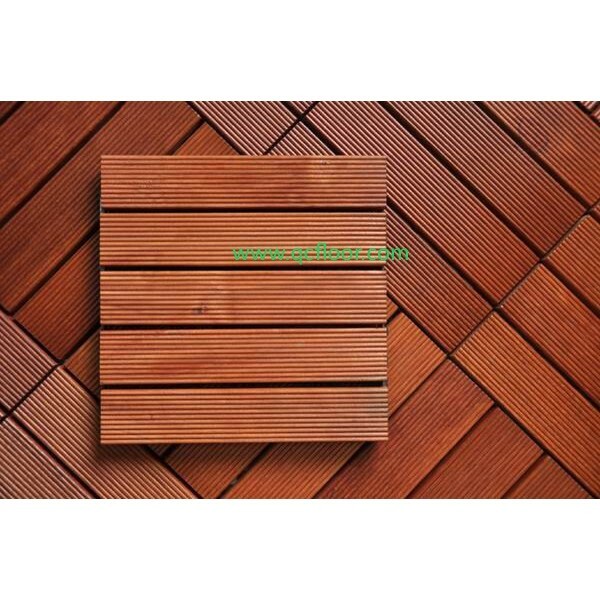 Suitable for bathroom, balcony, interior room, courtyard, garden, swimming pool, seaside, etc. 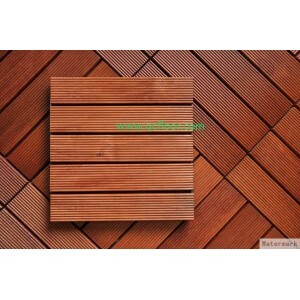 Maintenance: With simple, regular maintenance your floor decking will last longer. Colour changes, small cracks and a dry surface are signs that it is time to re-glaze.